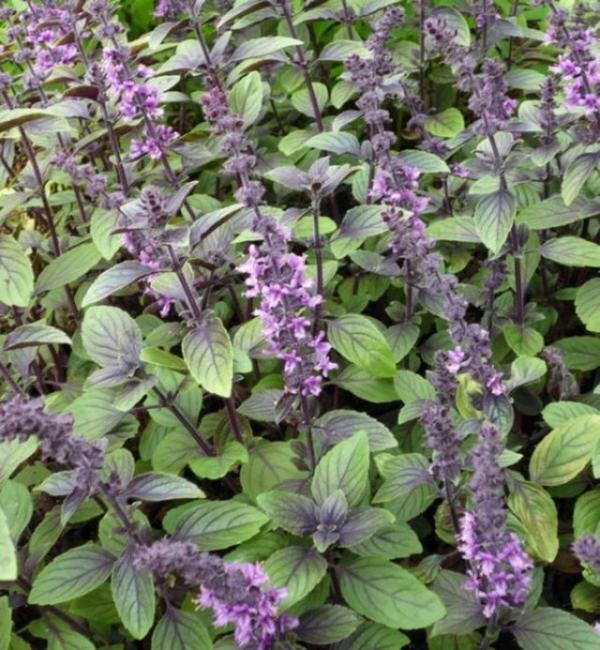 This blue spice basil produces a large size aromatic plant with distinctive scent very much as it's name suggests a spicy flavour, Dark fuzzy green leaves up to 1" long with darker veining and beautiful blue flowers - a gorgeous ornamental plant which is attractive and flavorful suitable addition to a cut flower bouquet. great in fresh tomato salad dishes and spicy pesto sauce, WOW ! !